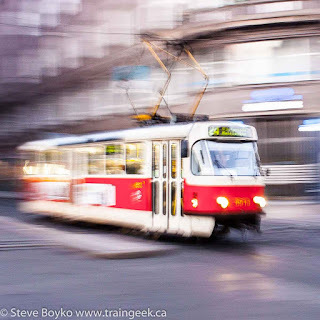 After failing to document Vienna's trams very well, I resolved to do better in Prague. 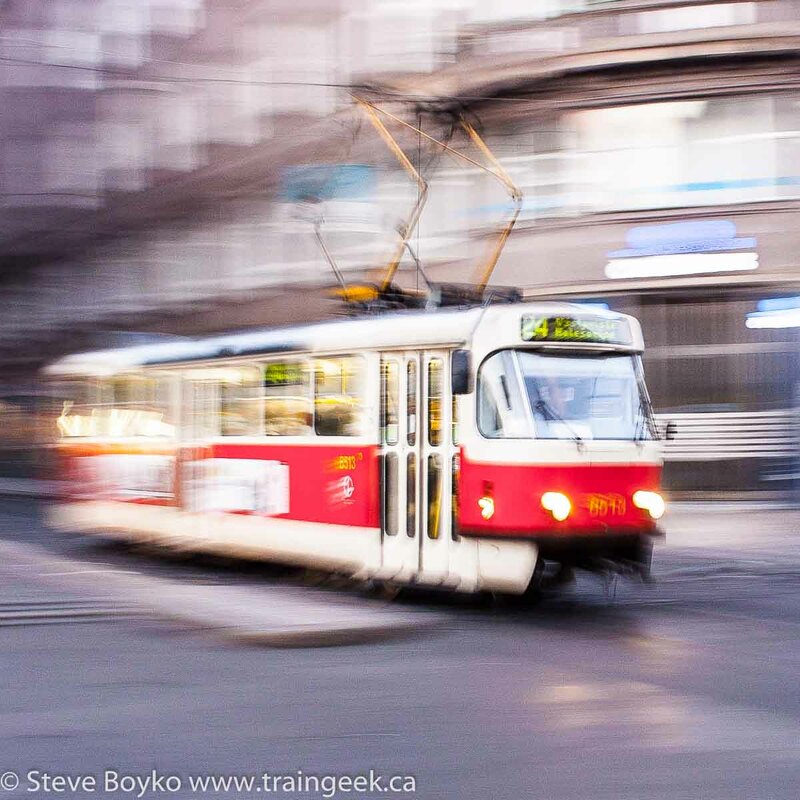 A railfan's work is never done. 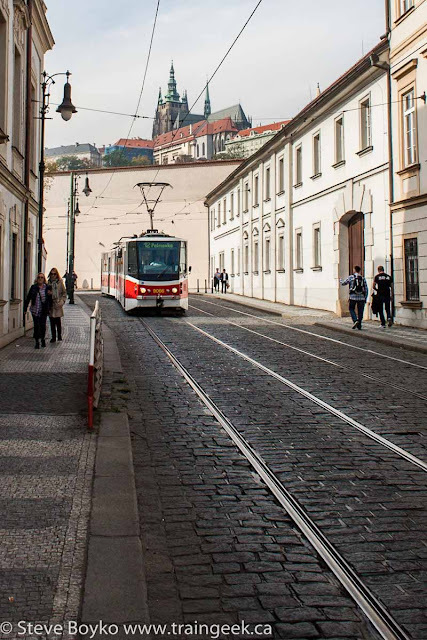 Prague has over 140 km of track, with over 900 trams running 21 daytime and 9 nighttime routes for a route total of 518 km. It's a busy system. 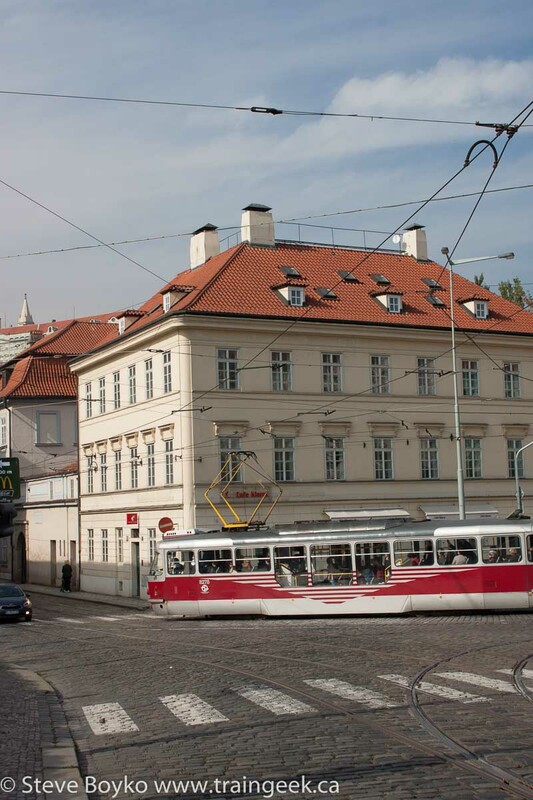 The first horse-drawn tram ran in Prague in 1875 and the first electric tram ran in 1891. The traditional supplier of trams for Prague was ČKD Tatra, a company that no longer exists post-Velvet Revolution. 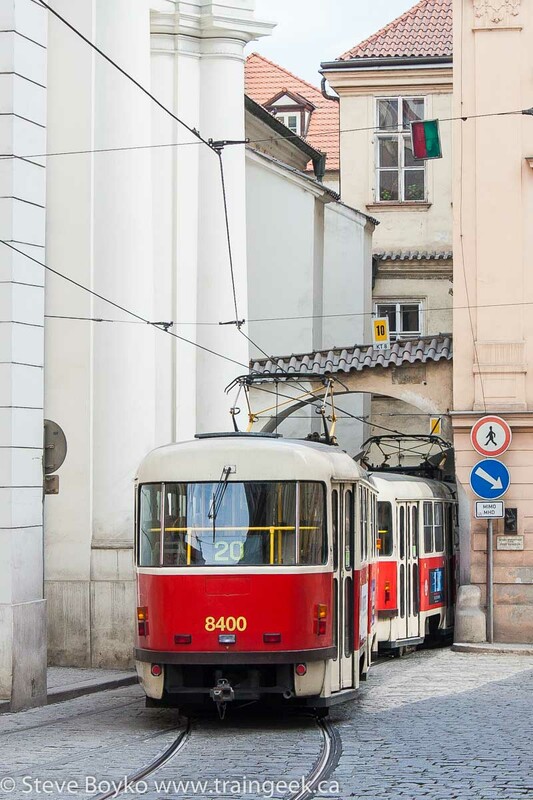 The most modern trams in the Prague fleet are produced by Škoda. The oldest regularly operating trams in Prague are Tatra T3s. Almost 14,000 of these were produced worldwide and over 500 still operate in Prague. 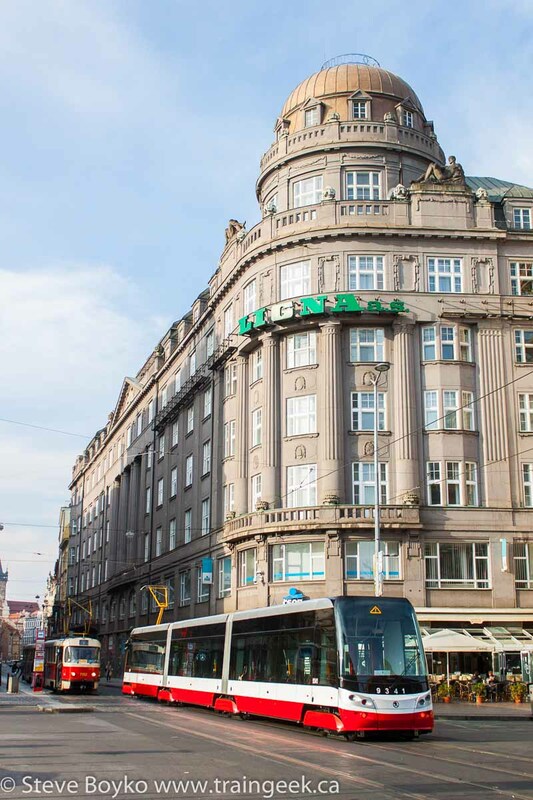 I did see a lot of the T3s around. Prague has over 100 T6A5 trams, which look a lot like T3s but more angular. 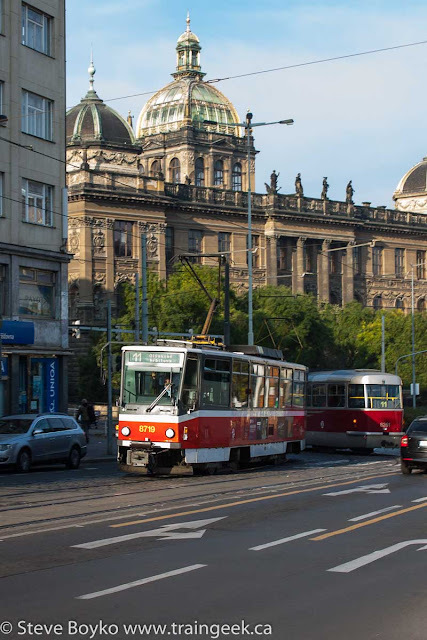 The Škoda 15 T are the most modern trams in Prague, built from 2009 onward. 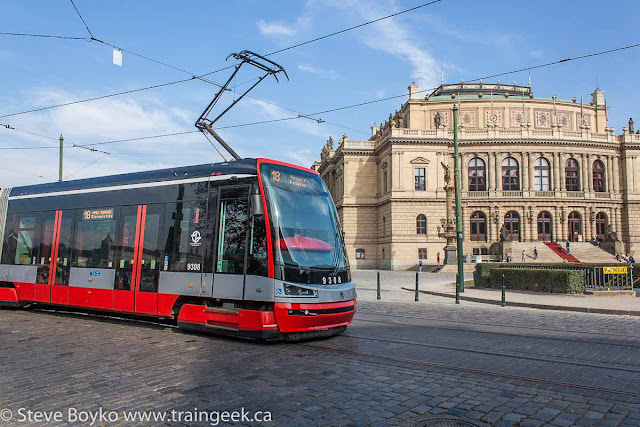 Some of the newer trams are supposed to have wifi and air conditioning. 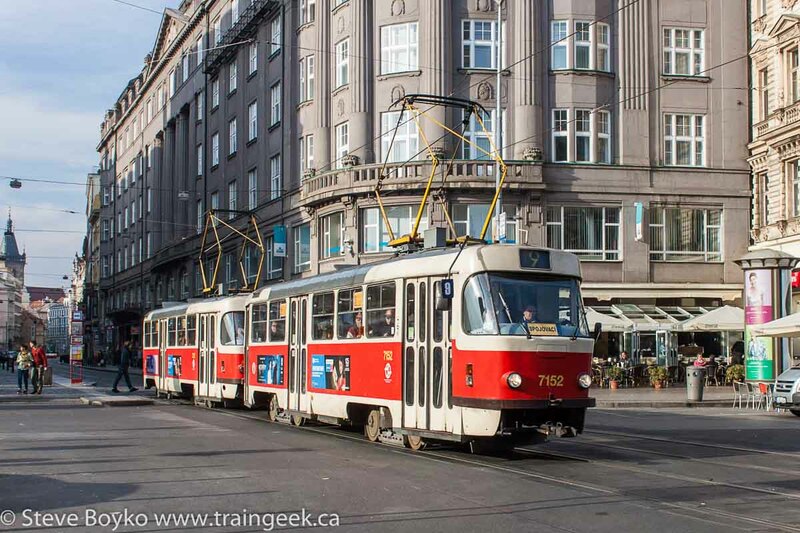 I really enjoyed seeing and riding the Prague trams. They are pretty comfortable and fun to ride. Tram 22 is probably the most popular tourist tram as it takes you up to the Prague castle complex, a must-see if you are in Prague. 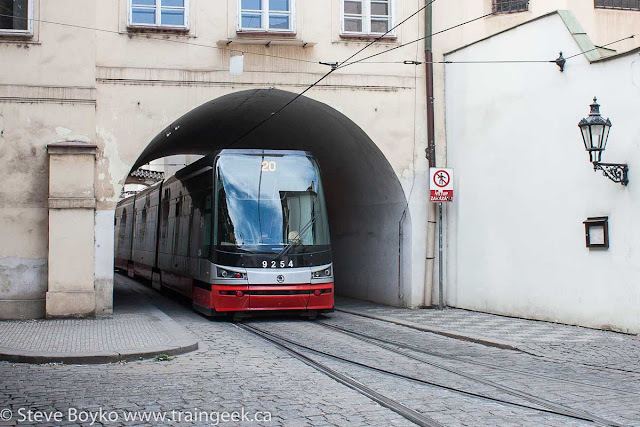 Next up, a day trip to the town of Kutna Hora and then a morning of dedicated railfanning at the main train station in Prague!